On Saturday, April 16, a magnitude 7.8 earthquake struck the northwestern coast of Ecuador, killing hundreds and injuring thousands. The quake–the worst to hit the country since 1987–leveled buildings, destroyed roads and bridges, damaged structures and triggered landslides. The earthquake also caused a subsequent tsunami warning for communities along the coast. In rural parts of Ecuador, where El Nino’s weather patterns had already created challenging conditions, communities are vulnerable while they await relief aid. Early reports out of the country indicate immense devastation, and experts predict the death toll will continue to increase rapidly as damage is further assessed. Operation USA is among the groups that have begun preparing to aid Ecuador as soon as opportunities and funds allow. 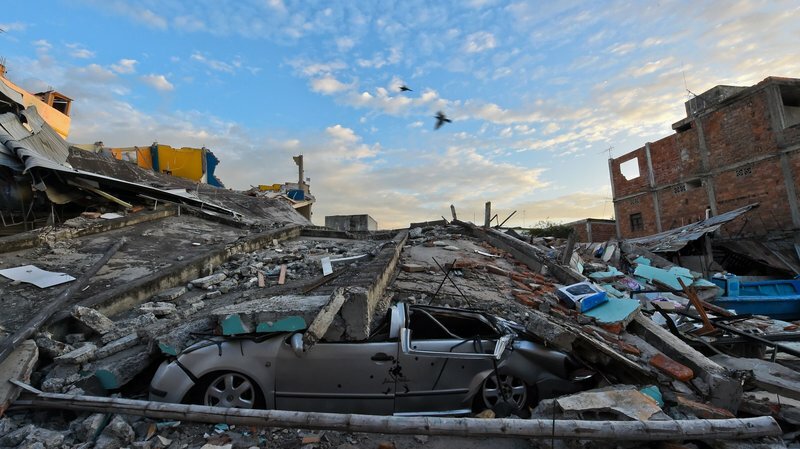 As seismic activity is not common in Ecuador as it in other areas–including Japan, which was also struck by two earthquakes last week–many citizens are ill-prepared to cope with the effects of such a major disaster. The road to recovery will be long and challenging for all affected Ecuadorians, even more so for children and families in areas where damage is extensive and relief aid will be slow to arrive. Operation USA will identify such communities and begin planning long-term recovery efforts in addition to sending cash grants and material aid in the immediate relief phase. The death toll in Ecuador has climbed to 438, with a reported 4,000 injured and 231 missing. Thousands more were rendered homeless by the earthquake, and are left without access to clean drinking water or basic supplies. Experts predict the cost of rebuilding is likely to be in the billions of dollars. According to sources headed into the quake zone, the true extent of damage has been so far under-reported in the US and the devastation is extensive. The relief process is being complicated by challenging logistics, damage to transportation and communication services, severe structural damage and chaos in the post-earthquake environment. While other major aid groups such as UNHCR and the World Food Program work to deliver food, water and relief materials to Ecuador in the days and weeks ahead, Operation USA will prioritize making grants to local partners in order to expedite recovery in the face of such overwhelming obstacles. Operation USA will also organize a shipment of relief and recovery supplies to partners in the area in the near future, while assessing opportunities for long-term recovery projects supporting health and education. Donate to these efforts at give.opusa.org. Two weeks after the earthquake, the official death toll has surpassed 660 people, with more than 30,000 injured. According to official reports, damage is estimated at $2-3 billion, with as much as 90% of infrastructure destroyed in some areas. Operation USA continues to collect in-kind materials and relief supplies from partners, and plans to ship those items to areas in need as opportunities allow. OpUSA is also currently vetting partner groups and planning to make cash grants to aid recovery for displaced communities. One month after a magnitude 7.8 earthquake rattled Ecuador, the country was struck by two additional earthquakes registering magnitudes 6.7 and 6.8. The tremors exacerbated damage and destruction from the earlier quake, and created additional challenges for those who have been displaced. Operation USA has made a grant to partner organization All Hands Volunteers to assist in the construction of homes for displaced families in the Manabi Province. Learn more here. All Hands Volunteers has completed the first of eleven homes for families in the Manabi Province. Learn more and see photos on our Facebook page. Text to donate. Send AID to 50555 to give $10 now. Text donations are collected for the benefit of Operation USA by the mGive Foundation and subject to the terms found at www.mGive.org/t. Call 323.413.2353 to process a credit card donation by phone. Visit United Airlines to donate air miles, which can be used to send Operation USA staff members to areas in need. Just visit this link and then scroll down to find Operation USA in the alphabetical list. Donate in-kind materials such as bulk quantities of disaster-appropriate supplies, transportation and shipping services, shelter, power generation, water purification and medical supplies and help get a shipment to Ecuador ASAP. Contact us to discuss. Due to the nature of distributing supplies in disaster-impacted countries, we cannot accept non-bulk donations from individuals. To make the most of your donation of clothes or other non-bulk materials, please consider a local organization in your own community. If you are interested in volunteering to help recovery efforts, consider All Hands Volunteers. Medical professionals can contact International Medical Corps for more information on skilled volunteer opportunities. Operation USA does not typically send volunteers into the field.